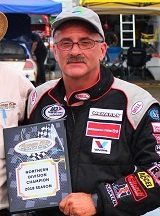 Mount Joy, Pennsylvania (February 2, 2018) – Hard work behind the scenes and careful consideration has resulted in a Super Cup Stock Car Series 2018 season schedule that is unlike any in the past. 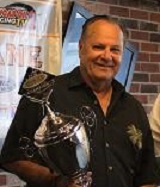 16 races across eight dates at six tracks in five states will contribute toward determining the champion and many other awards during the 11th year of the series, which features 3,300 pound and 600 horsepower full-bodied stock cars. Drivers will get an earlier start compared to recent years on Saturday, April 28. Following a popular special event demonstrating the “Racin’ The Way It Used To Be” brand, the SCSCS will make its first appearance for points at the immaculate Dominion Raceway and Entertainment Complex in Thornburg, Virginia. 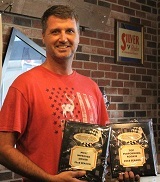 During the September 2017 event, veteran Bob Schacht captured his first victory in the series and will certainly be a threat along with an anticipated full field of competitors arriving at the 4/10-mile oval to kick off 2018. From there, teams will visit a familiar site for an eighth straight season on the first Saturday of June. Ohio’s Midvale Speedway witnessed two first-time winners in Trent Gossar and Stephen Cox a year ago on their 3/10-mile bullring. After two unlucky attempts due to weather a year back, the SCSCS will return to the 3/8-mile Kingsport Speedway “Concrete Jungle” in Tennessee for a Friday show as a precursor to a busy summer for competitors. The annual early July date at Jennerstown Speedway Complex comes back to the schedule, and will be crucial toward the overall championship. It will be the first of a record three visits to the 1/2-mile nestled within the Laurel Highlands of Western Pennsylvania. 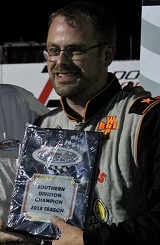 Brent Nelson mastered the early summer event a year ago, sweeping both 50-lap features. Two weeks later it is a return to a favorite facility of the series with a new name. The UMI Motorsports Park in Clearfield, Pennsylvania, purchased over the off-season by the reputable folks at UMI Performance, will host the SCSCS for their first racing event under new ownership. Partnering with the Rusty Wallace Racing Experience, this event will be a must not miss weekend for fans in the area. Another return to a popular track under new management will take place in the dog days of summer. On Saturday, August 11 the SCSCS travels to the Mountaineer State’s only asphalt track, Ona Speedway. 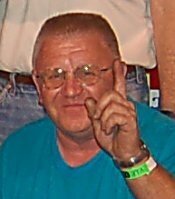 It will be the first appearance for the series since 2013, when defending champion Jim Crabtree Jr. picked up the win in a thrilling side by side finish with Kevin Kromer. The home stretch in deciding who will take home the hardware will take place back in the Keystone State. Jennerstown Speedway not only will hold their annual late August date, but champions will be named a few weeks later during their own championship night for their local divisions on Saturday, September 15. While the standings may be decided, a ninth date in total for 2018 has been secured as Dominion Raceway will again feature a post-season special event on Saturday, September 29, similar to 2017. Details for this Eastern Virginia showdown will be announced at a later date. 2018 will once more feature the Twin 50 race format, meaning that all of the eight regular season stops will offer two attempts for drivers to go for the win and gain valuable points. In addition, the South and North division structure will be back after a successful 2017 trial run. Dominion, Kingsport, and Ona events will award points to South-designated drivers while Midvale, both July and August Jennerstown, and UMI events will award points to North-designated drivers. 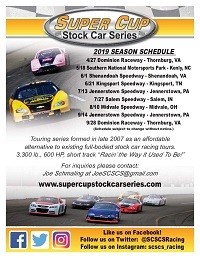 The finish of the first September Jennerstown race will crown both the North and South titlists with all sights set on the overall Super Cup Stock Car Series championship in the second and final event. Drivers must compete in the entire schedule to be eligible for the overall championship, as points will be awarded regardless of division designation much like in 2017. One change for 2018 is that drivers can elect to swap out one race outside of their designated division for another when going for the North or South title, allowing flexibility if they are unable to make the trip to a particular event. 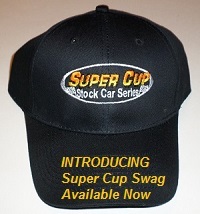 More information regarding each event will be available as the start of the new season approaches at www.supercupstockcarseries.com. Be sure to stop by our Facebook and Twitter as well as our new Instagram page for continued and live SCSCS updates that become available.